Singapore has done it again. It has signed Trans-Pacific Partnership (TPP) agreement with Mexico in an effort to support its businesses in going international. It also offers a great opportunity to the entrepreneurs and corporate from Mexico committing to a company incorporation Singapore. On the government level, the agreement is a first of its kind between the two countries and is expected to boost the trade between the two countries. By opting to incorporate a company in Singapore, the entrepreneurs can have access to more than 2.5 billion Asian consumers. Recently, the Minister of Trade and Industry (Trade) Lim Hng Kiang while speaking at the Mexico-Singapore Business Forum in Mexico City commented that the Mexican companies that chose company incorporation Singapore have access to markets in Singapore, Greater Southeast Asia and the Asia. He also added that the interaction between the two countries should be multi-faceted and should include culture, education, and people-to-people exchanges. 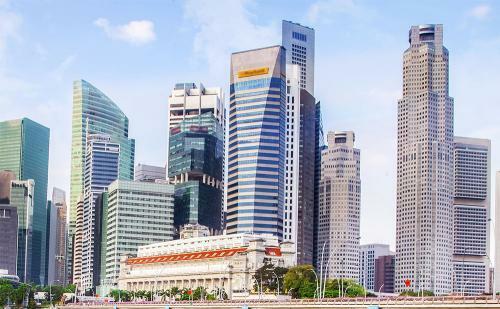 During the last 2 decades, Singapore has emerged as the business hub of Southeast Asia. It is much favored by the entrepreneurs and corporate as the business destination. To the foreigners, how to register a company in Singapore is not a big problem. There are Singapore incorporation services which assist their clients in the task. Singapore company registration process is simple and can be accomplished in 1 – 3 days. Each year, the country witnesses hundreds of thousands of new company incorporation Singapore. All of these entities benefit from the efforts taken by the Singapore authorities to cuts through the red-tapism. Singapore has already established a network of trade treaties with the countries from all over the world. It has signed 41 Investment Guarantee Agreements (IGA), 76 Avoidance of Double Taxation Agreements (DTAs), 21 Free Trade Agreements/ Economic Partnership Agreements. These treaties simplify the cross-border trade and investment for the businesses registered in Singapore. Now, with the signing of TPP, Singapore has become a part of a group of countries that accounts for as much as 40% of the global economy. TPP is a step in the right direction, as the current bilateral trade between the two countries is negligible. Imports from Mexico are less than 1 percent of total imports in Singapore and imports from Singapore account for no more than 0.5 percent of Mexico’s total imports. The memorandum of understanding signed by them can indeed prove to be a “game-changer.” It is apparent that for the entities from both the countries there is a tremendous scope for investigating business opportunities in each others region. One of the areas that the Mexican companies can capitalize on is the export of food. Presently, Singapore imports 90 percent of its food.